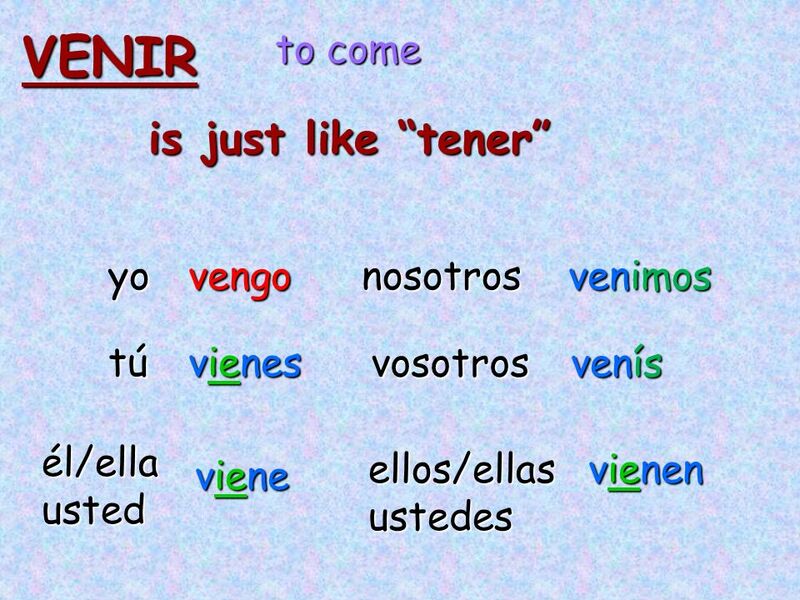 9 tengo vienen tiene venimos 1. 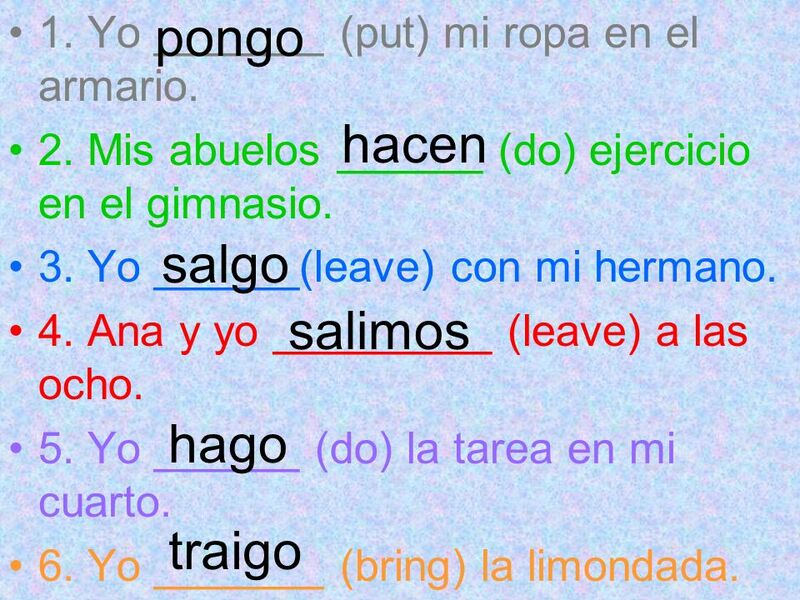 Yo _______ (have) quince años. 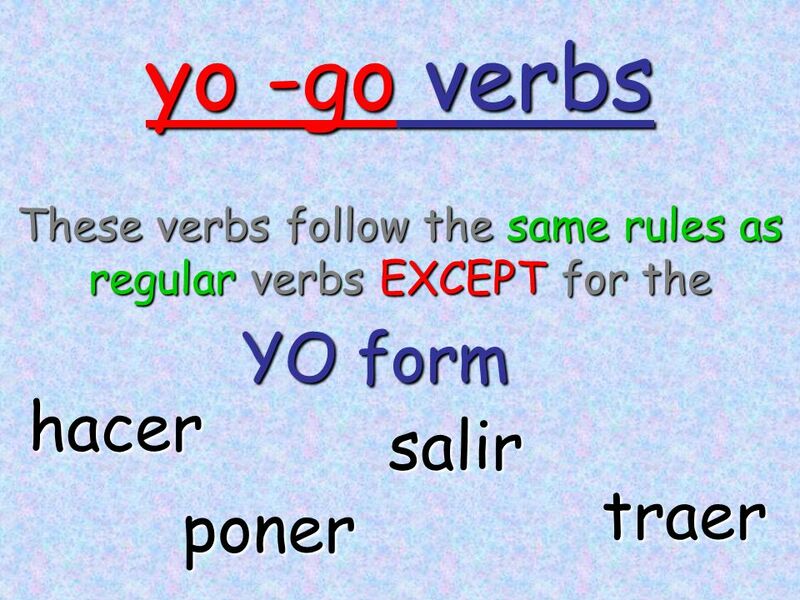 Descargar ppt "yo -go verbs YO form hacer salir traer poner"
¿Qué son? 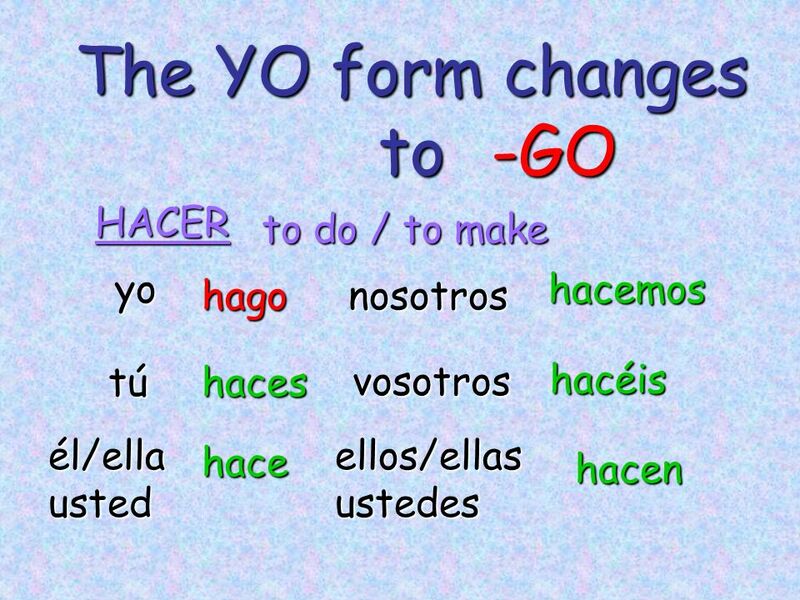 Yo go verbs are verbs that change to a –go ending in the yo form. 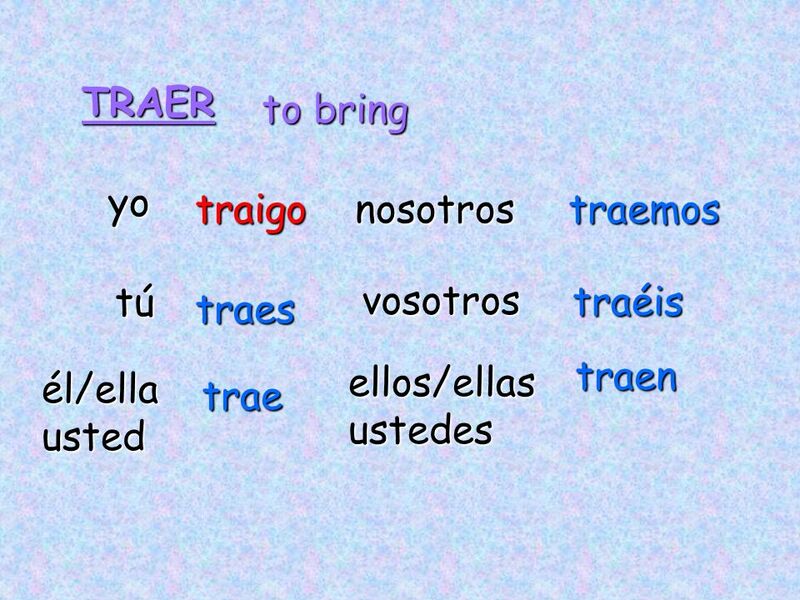 These verbs are only irregular in the YO form One example of this is the verb. 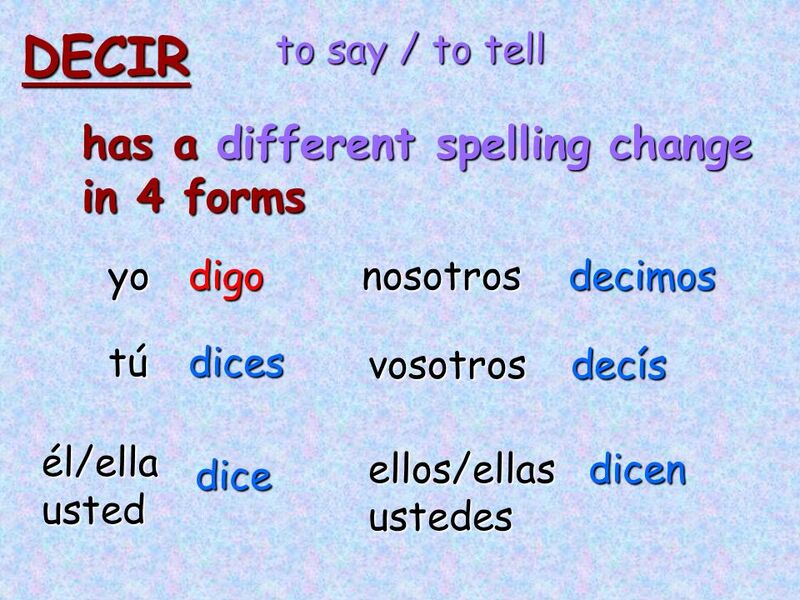 Bellwork: Copy the meanings of the following Irregular Verbs. -go Verbs There is a small but very important group of verbs that we call the “-go” verbs. 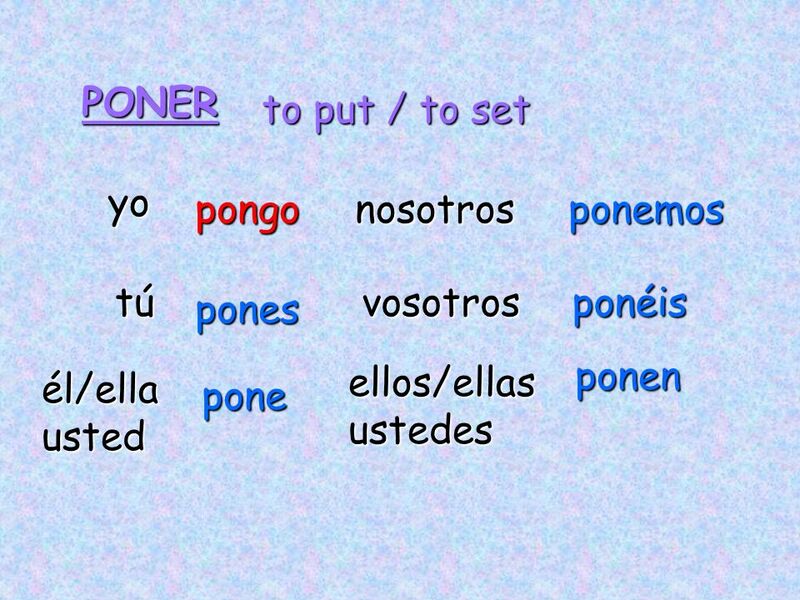 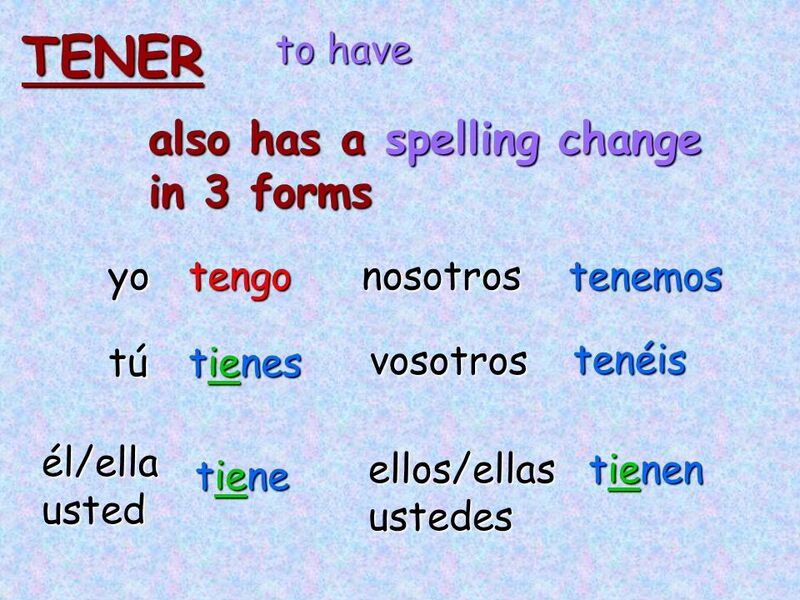 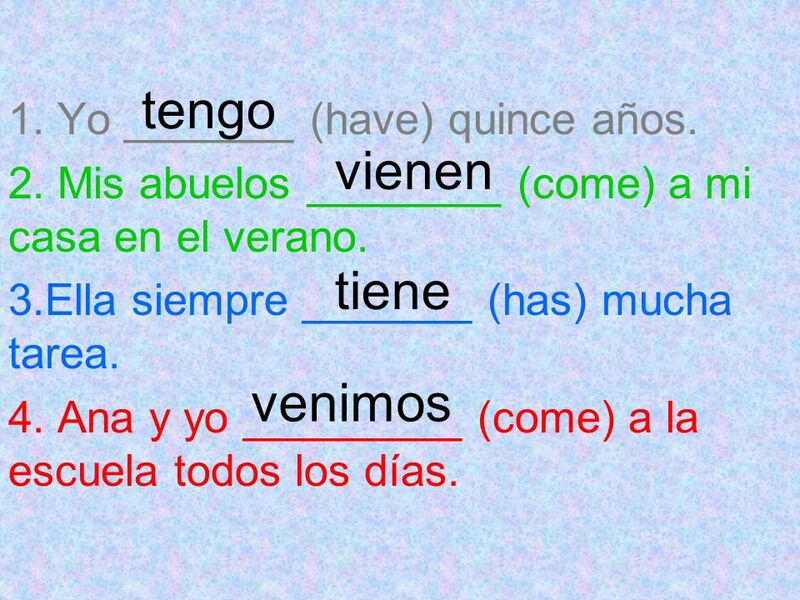 These verbs are: Hacer: to make/do Poner: to put Traer: to.